Chevron U.S.A. Inc., a wholly owned subsidiary of Chevron Corporation, has signed a share purchase agreement with Petrobras America Inc. to acquire all the outstanding shares and equity interests of Pasadena Refining System, Inc.(PRSI), which includes the refinery in Texas, and PRSI Trading, LLC for USD350 million, excluding working capital. Including USD212 million working capital, the total transaction value is USD562 million, according to Petrobras. The final transaction value is subject to working capital variation up to the closing date. Petrobras America is a subsidiary of Brazil’s state-owned oil and gas company Petróleo Brasileiro S.A. (Petrobras). 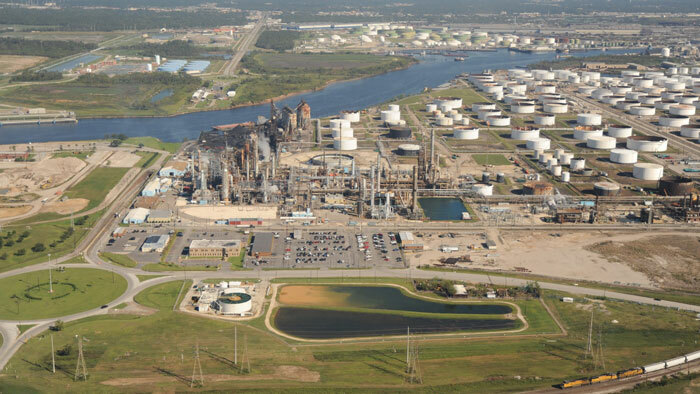 Pasadena Refining’s roots go back to the early days of southeast Texas exploration and refining through Crown Central. The initial plant was one of the very first petroleum refineries built on the Houston Ship Channel. The facility has been modernized over the years with the addition of new process units, as well as safety and environmental controls. The refinery became a wholly owned subsidiary of Astra Holding USA in January 2005, when PRSI acquired Crown’s refinery. In September 2006, Astra sold half of its interest to Petrobras America Inc. and in December of 2008, Petrobras took full ownership. The assets being acquired by Chevron U.S.A. include a refinery with a capacity to process approximately 110,000 barrels per day of light crude, direct pipeline connections to increasing industry and equity crude oil production, connections to major product pipelines as well as waterborne access to receive and ship crude oil and refined products. The facility produces diesel fuel, gasoline and fuel oil. The 466-acre complex is in Pasadena, Texas. It comprises a 323-acre refinery including a tank farm with a storage capacity of 5.1 million barrels of crude oil and refined products, as well as 143 acres of additional land. The acquisition will add to the refining network of Chevron U.S.A., which includes a refinery in Pascagoula, Miss., two facilities in California, in El Segundo and Richmond, and the Salt Lake refinery in Utah. The acquisition is subject to customary closing conditions, including regulatory approvals from U.S. and Brazilian authorities.